You can put that obscenely expensive, insanely large HD TV to good use this week, as How to Train Your Dragon 2 releases for home entertainment. 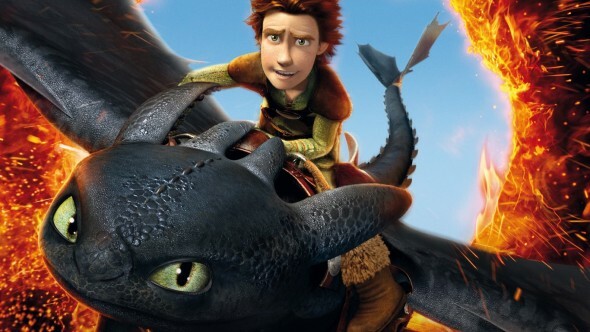 As visually arresting as its predecessor, Dragon reunites viewers with Hiccup and his beloved flying dragon Toothless as they take on dragon-napping pirates led by Drago Bloodfish. That is how you name a villain! Breathtaking visuals and a story rooted in family and frienship make this sequel well worth looking into. An obvious double bill is the gorgeous, moving and thorougly entertaining original How to Train Your Dragon, but we hate to be so obvious. Instead we’re recommending another film about a boy, his unusual best friend and their adventures: The Iron Giant (1999). Director Brad Bird’s first feature roots itself in 1950s Cold War hysteria but tells a story brimming with immediacy. It’s also one of the more deeply touching animated adventures you will ever find.